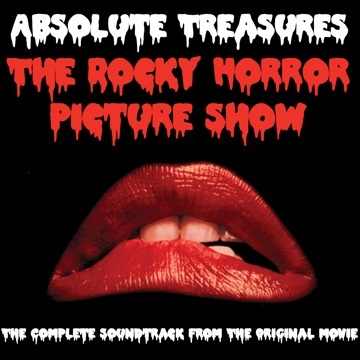 40 years after movie audiences began singing along to such hits as “The Time Warp,” “Sweet Transvestite” and “Dammit Janet,” The Rocky Horror Picture Show fans can own a piece of history with the newly re-mastered Absolute Treasures soundtrack. Due out July 31st on Ode Sounds & Visuals and distributed by The Orchard, the soundtrack will be available as a limited-edition Red Vinyl two-disc set, and CD and as a digital release, which includes a bonus track will be available on August 21st. The red vinyl was created to honor the film’s legacy and the devotion from fans to create something unique to celebrate this historic occasion. “The Rocky Horror Picture Show has always had a mind of its own fueled by the insight and direction of its fans,” says producer, Lou Adler. The Rocky Horror Picture Show — the longest distributed theatrical release in motion picture history — debuted as a London theatre production in June 1973. The show came to America in 1974 with nine months of performances at Adler’s Roxy Theatre in Los Angeles. On September 26, 1975, The Rocky Horror Picture Show held its U.S. premiere at the UA Westwood Theatre in Los Angeles.